In 2014 Barack Obama lost another 16 House seats in the midterm election. In 2010 Barack Obama lost 63 House seats in the midterm election. For a grand total of 79 seats. 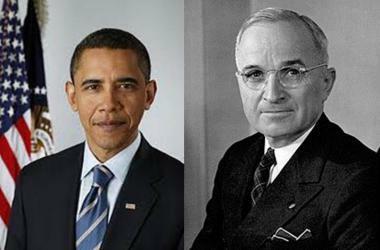 Not since Harry S. Truman in 1950 has a sitting president lost more House seats in two midterm elections. Congratulations Barack Obama. You did it! Meanwhile… House Republicans are looking at their largest majority since 1928 according unofficial results from last night’s election.